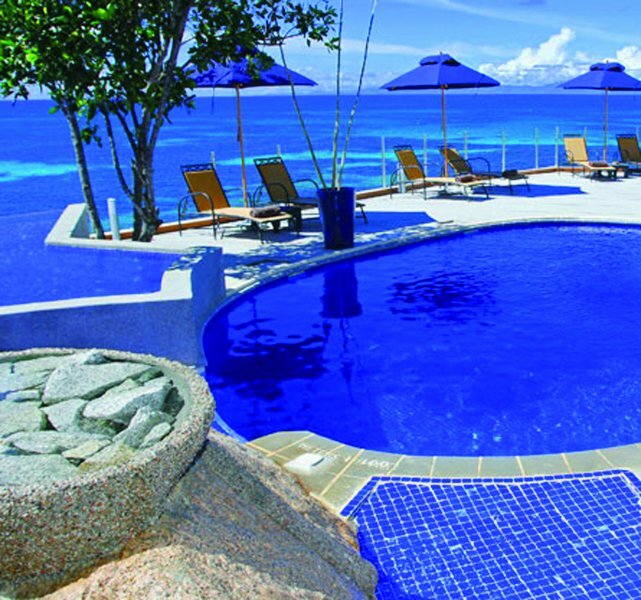 Situated on the quiet southwest coast of Praslin, this modern four star hotel is situated in over 200 acres of natural beauty on the edge of the Indian Ocean. 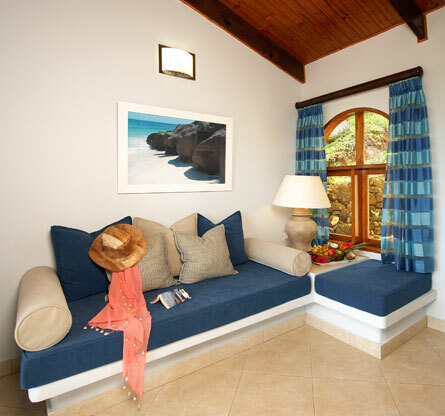 The suites, known as the Black Parrot Suites, are perched separately from the main hotel on a little hillside. 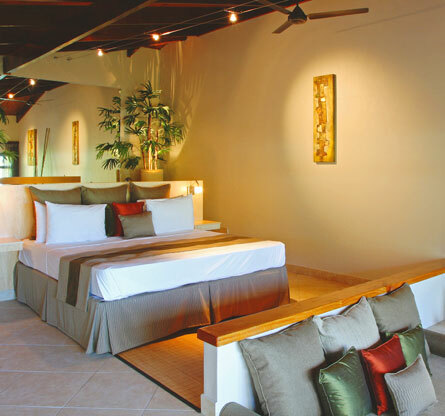 They form, in effect, a separate all-suite hotel, which enhances the secluded, tranquil atmosphere. Distance from airport is 8 km (20 minutes by taxi). Flight time from the main island, Mahé, is 15 minutes. 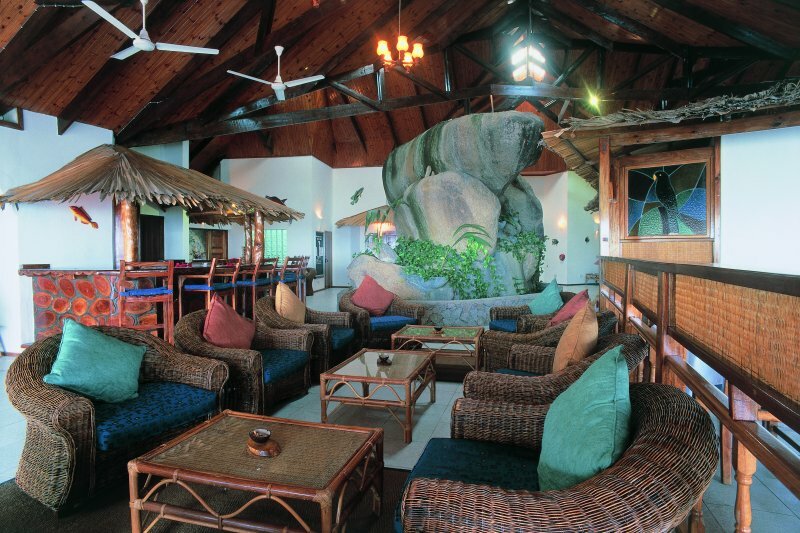 This up market hotel is situated on Praslin, the 2nd largest island in the Seychelles. 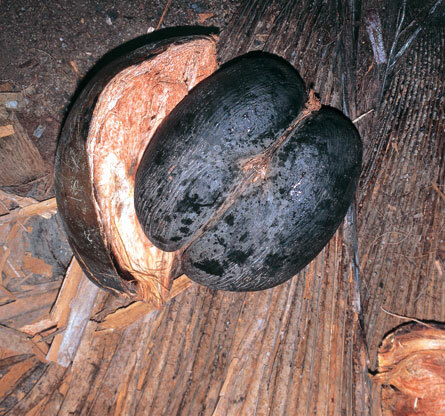 It is named after the unique Coco de Mer Palm tree which, although extremely rare, occurs in abundance in the tropical forest surrounding the property. 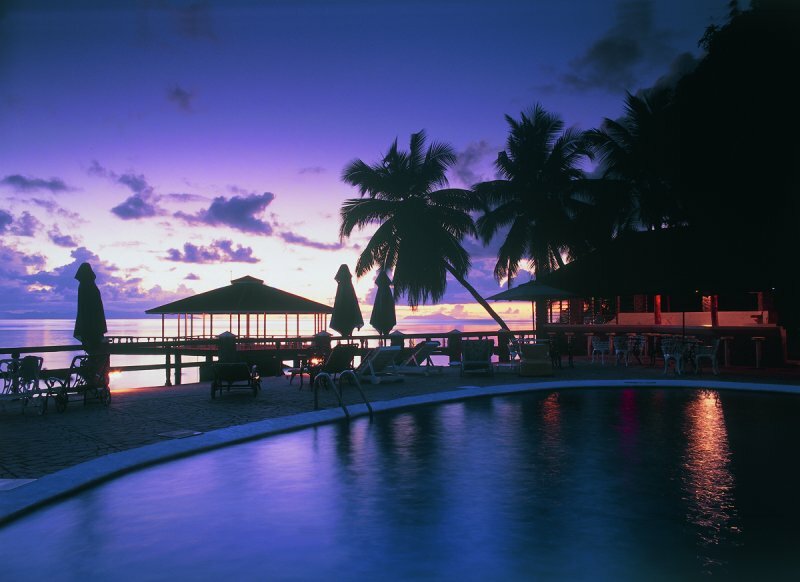 The hotel lies hidden amongst the Palm trees, and is surrounded by peace and tranquillity. 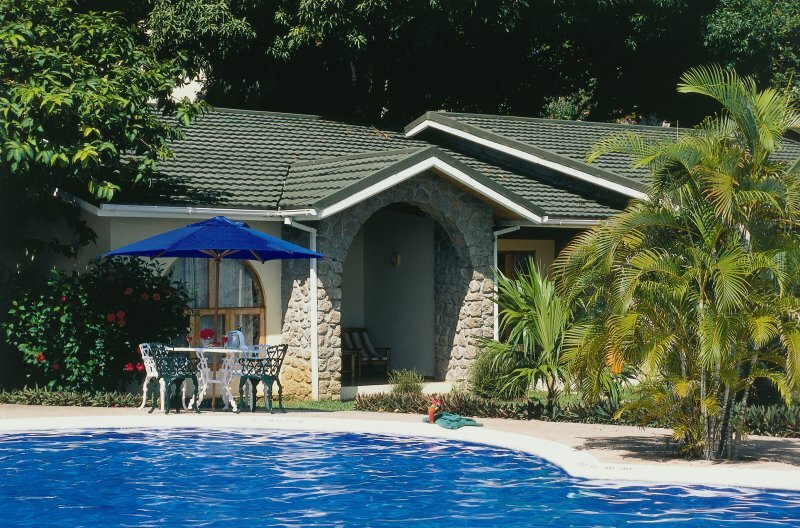 It has spacious grounds, comfortable rooms, a private location and a friendly atmosphere. 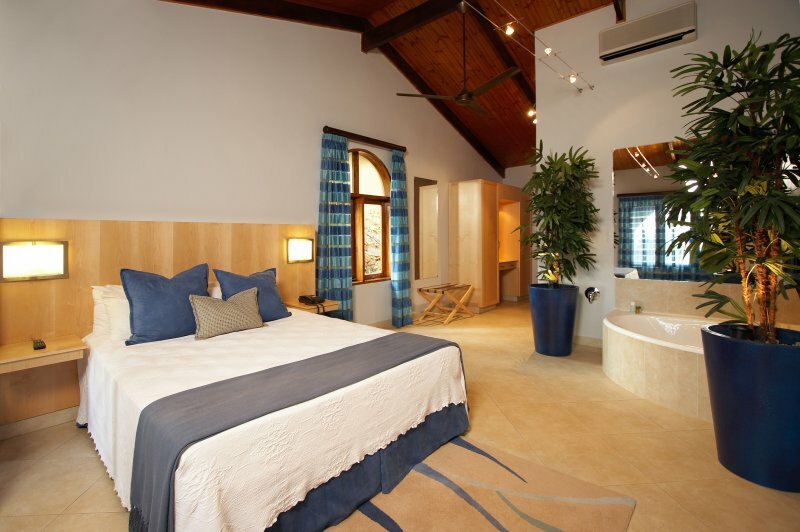 Set on the edge of the ocean, it offers spectacular views of the surrounding islands, forested mountainside and glorious sunsets. Offers full English breakfasts; international & Creole cuisine; barbecues; buffets & Table D’hôte menus. 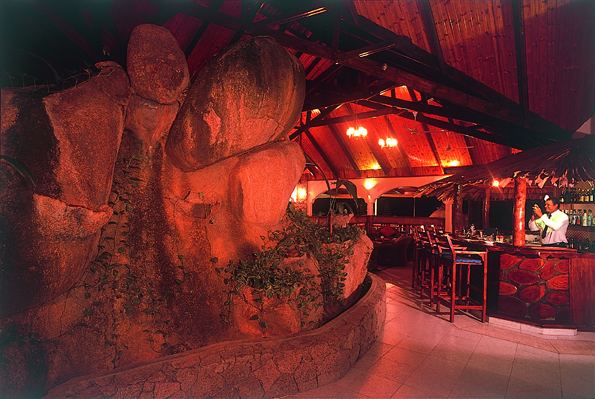 Offers a mouth watering à la carte lunch and dinner menu. 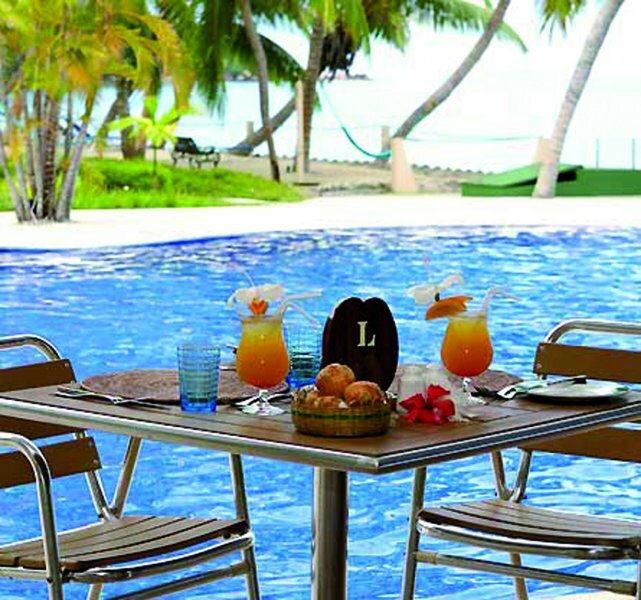 Is a supplement to the restaurant facilities at the Hotel. Live entertainment is provided several times a week. The Gentlemen are required to wear long trousers to dinner. 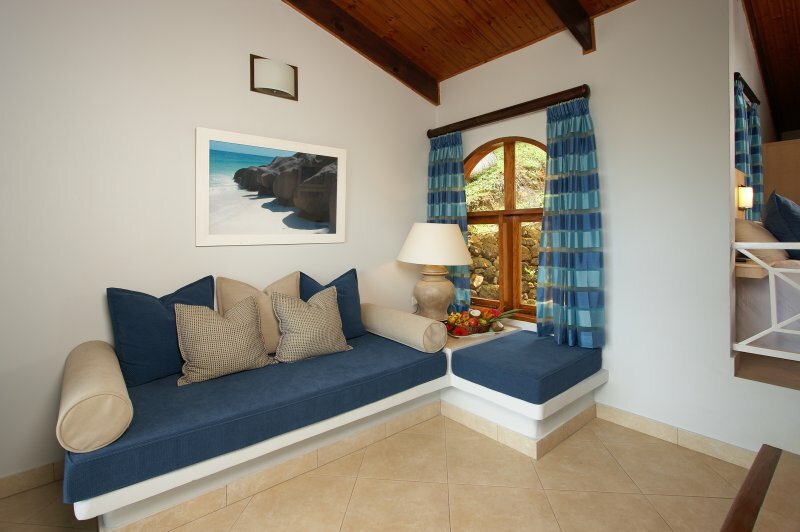 At the hotel, English, German, French, Italian and Dutch are spoken by members of the management team and the majority of staff speaks English, French, and Creole. Beach Towels are available for use free of charge. 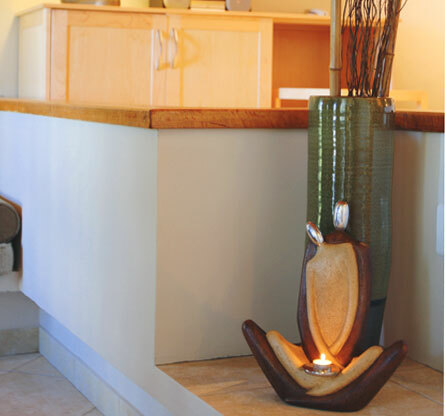 A souvenir boutique is located at Coco de Mer Hotel. 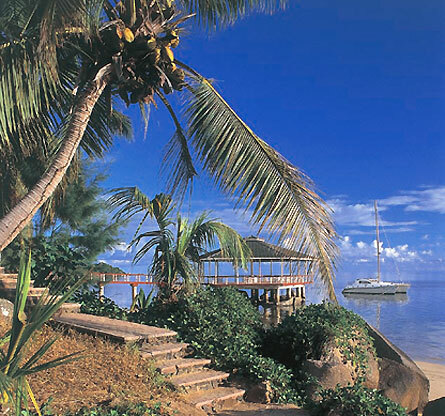 Several scuba diving centres are based on Praslin, transport is arranged accordingly. 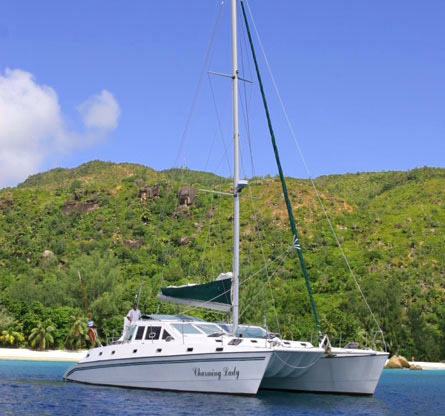 Neighbouring island excursions, scuba diving and deep-sea fishing expeditions, and yacht cruises can be arranged at an extra charge. 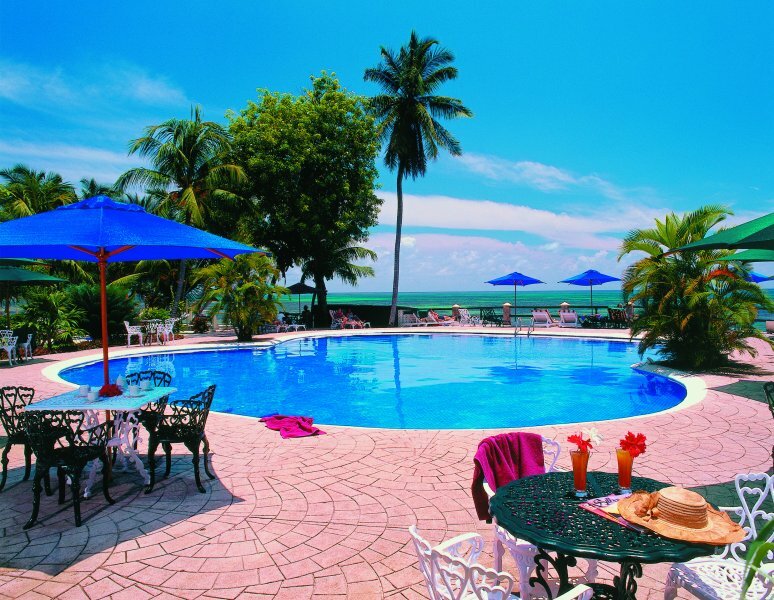 Day“, operate in association with the hotel. 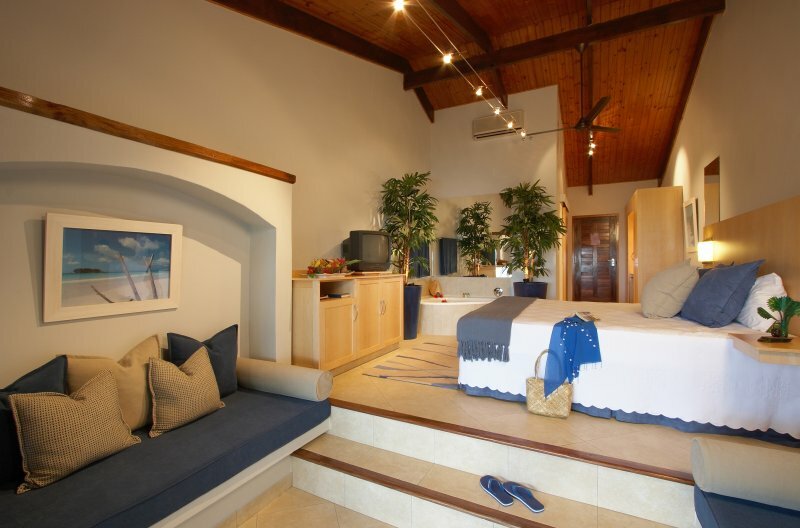 This offers clients the opportunity of discovering, in comfort and style, tranquil bays, deserted islands, and unspoilt tropical beaches. 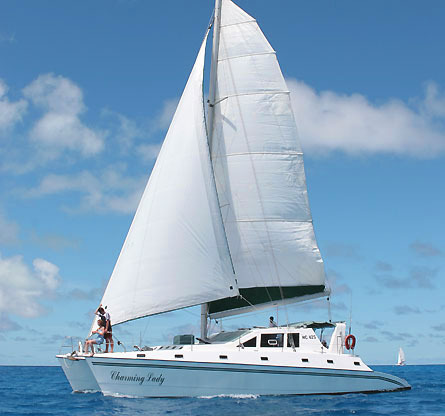 It has six spacious double en-suite cabins, and comes supplied with a qualified, multi-lingual skipper and a cook. 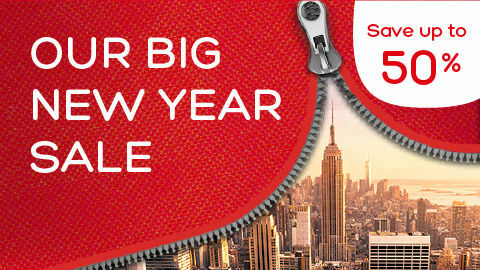 Overnight as well as extended cruises are on offer. 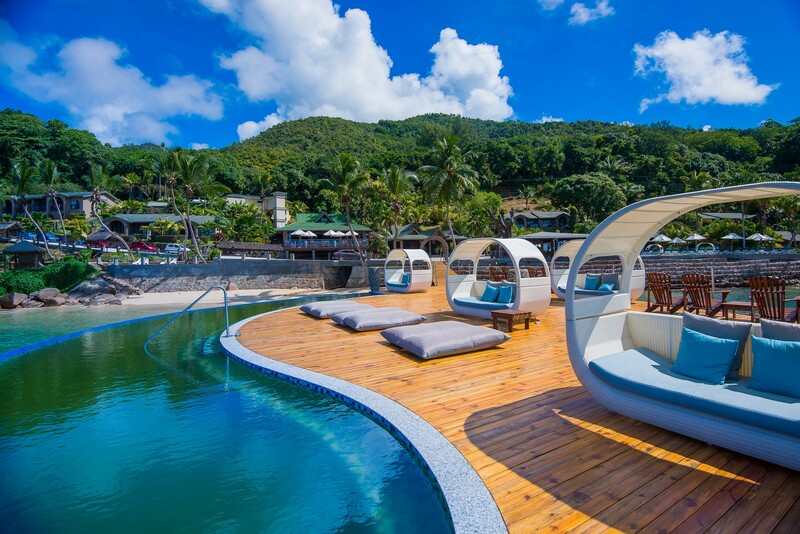 The Hotel lies on several small beaches, which form part of Anse Bois de Rose, a large tranquil bay. 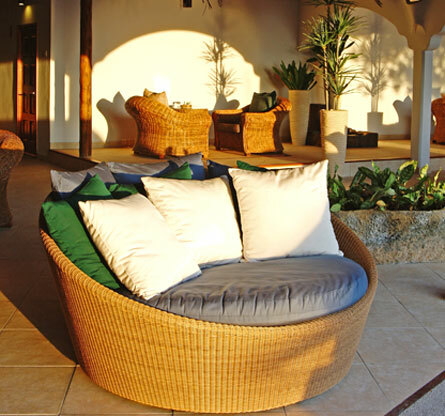 Guests always have access to ample sunbathing areas; large sand terraces; palm tree strung hammocks, and sun loungers. 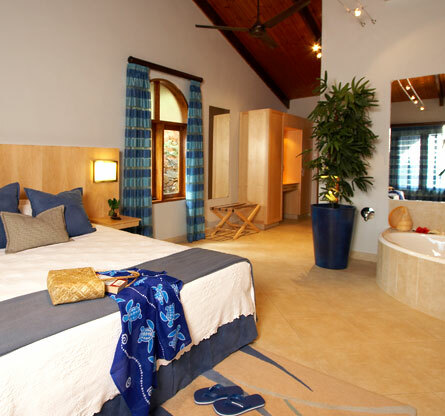 Please contact us at reservations@leisureislandholidays.com for information about this resort.